I have been working on a WW2 hack for a while. I played/GM’d a room tonight with 2 of my sons. Still got some tinkering to do but it’s playable. My oldest son who really isn’t in to the whole DND thing blew up the bridge with TNT and was the only one still alive in the end. He is a teenager so I can’t tell if he liked it. This is such a versatile system. If you can dream it, you can create it with ICRPG. I love this. I have been toying with the idea of running WWII based ICRPG games on Roll20. I will send you a link to my Trello board tomorrow. You can see what I have. I have a great grandfather who served in the Philippines during WW2. 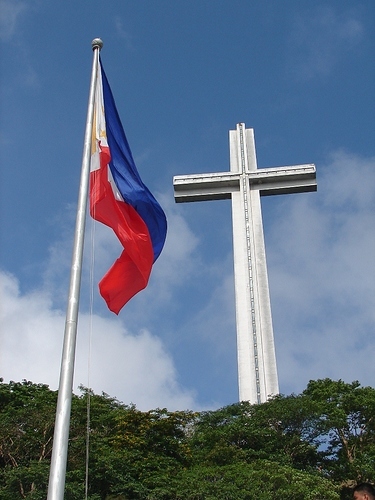 I remember being nine years old and seeing his helmet for the first time and the cross at Mount Samat. Its because of this that i got really excited when i saw your post. 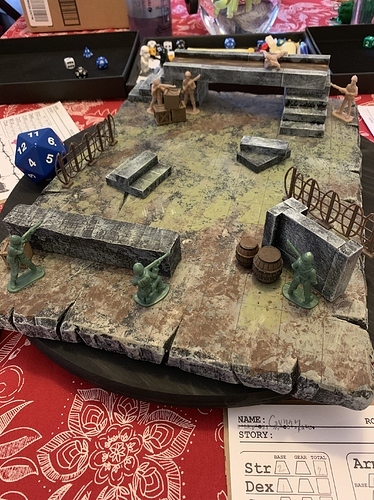 You’ve inspired me to make a ww2 themed campaign with my friends.Your terrain colors and textures are very fitting for the theme, and although the soldiers are green, because of how the terrain looks and how the soldiers interact with it, it makes it look like a very vivid story. excellent work! Did you create any special rules or are you playing the game pretty much vanilla? Thank you for the kind words. I just got back from a trip to D.C. where I visited the WW2 Memorial. Very inspiring. I appreciate your Grandfathers service. Love this idea! Using toy soldiers just makes it even better. Takes me back to my childhood. I got them at the Dollar Store and Fred Meyers. I even have a tank. There are very impressive sets you can buy on Amazon. This is all I really needed though.